Gala: The School Gala is on Friday 14 November. Planning for this is well underway. This is the time when we call on the wider school community for your help and support. We will be having a hangi. For this to be a successful fundraiser we need a lot of donations, onions, kumara, pumpkin, potatoes, butter. If you would like to help towards the meat then a small cash donation would be greatly appreciated as we can then purchase the correct cuts. We also need grocery items and bottles of wine for raffles and spot prizes. For the nacho stand we are wanting mince, cheese, nacho chips, tinned tomatoes, chilli beans and sour cream. For the sweet stand we will need fudge, coconut ice, chocolates, cake pops, sherbet, toffee apples etc and biscuits (home baking.). In regards to any donations please bring them to school over the next couple of weeks. With regards to the perishable items please let the office know of your intended donation and they can put your name down. We will need volunteers the night of the gala and the week leading up to it, so please if you are able to help let the office know. We will have a roster system so you are still able to enjoy the night with your family. We had such a successful gala two years ago. We made just over $10,000. This was due to the overwhelming support from all our families. Please help us to make this gala just as successful. 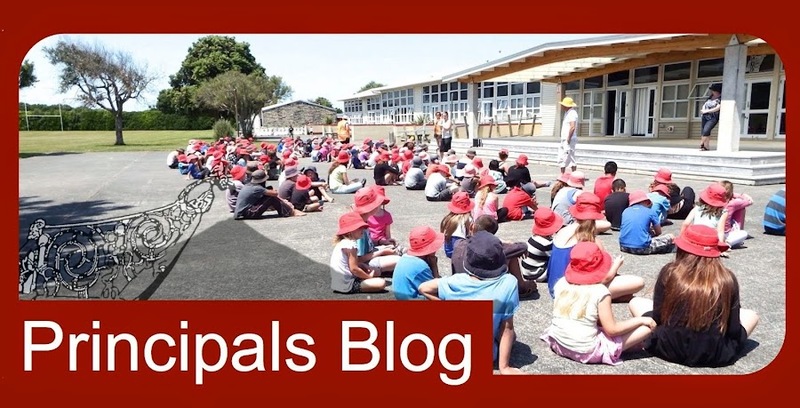 To build our "Learning Community"
Opunake Primary School is a great place to work and learn. I have been at the school for 11 years and I am proud to be principal of a vibrant and caring learning community. The school values of PRIDE (Perseverance, Respect, Initiative, Diligence and Empathy) form the backbone of the school's philosophy of learning. Recent research indicates that students who learn to persevere even when tasks are difficult do well in their learning. These students develop a "can do" attitude. Our students are 21st century learners. At this school we believe it is important that we are preparing our students to cope in a rapidly evolving global society. Our students do need to be literate and numerate, but we also need to be developing a holistic approach to learning and teaching. Sir Ken Robinson, a leading authority on creativity and innovation, believes that finding one's passion changes everything. I think schools need to play an important role in helping students find their passion. Our school, through an integrated (inquiry approach) to learning, takes our students on a journey of exploration and discovery. We are proud of the fact that our students explore many curriculum themes and issues in an innovative "hands on" way. We hold many open days to share this learning with parents and whanau.